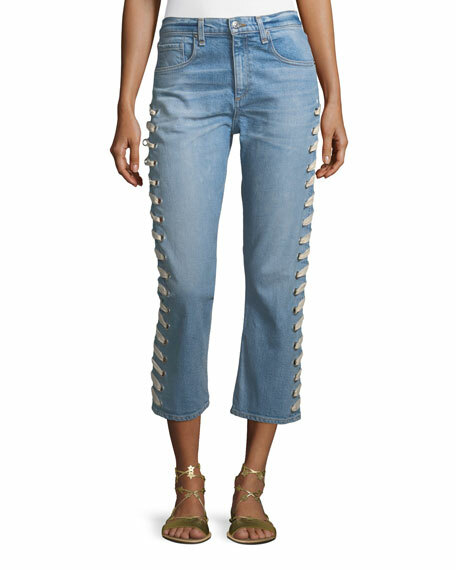 Veronica Beard "Ines" jeans, featuring lace-up, grommet sides. Approx. 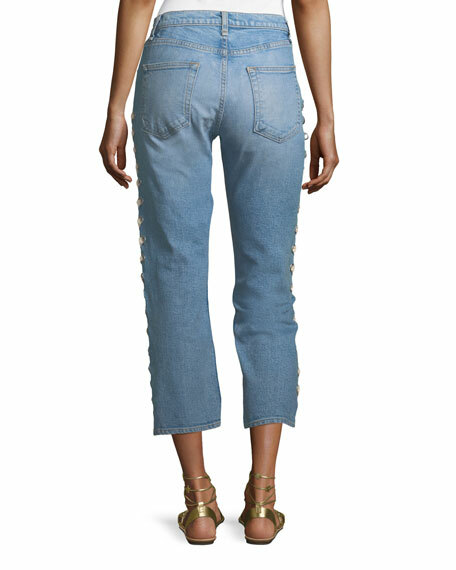 measurements: 10.8" rise; 24.5" inseam; 33" outseam.